From managing your bills and finances to preserving our earth, there are many reasons to make the switch to solar energy! We at West Coast Solar are proud to be the team you can call when you are ready to transition to a cleaner energy source. Whether you want to save money for years to come or simply eliminate your use of fossil fuels, we can help. We know the pattern: you open up your electricity bill only to see that the amount you owe has gone up again. If you’re like most Solano County residents, you wish you could stop dealing with these fluctuating bills. It’s time to take control of your finances and do what is best for your wallet—install a solar energy system. Many of our clients find that their solar systems can produce plenty of electricity for their home. If that’s the case for your home or business, then that will mean no more energy bills ever again. In many cases, we’ve seen our clients reduce their bills and even eliminate them after installing a solar power system on their home or business. Saving money on your bills is a nice perk, but it isn’t the end-all of the solar power benefits. Many Solano County residents and business owners feel a new sense of independence when they switch to solar, simply because they can reduce their reliance on foreign energy sources. Why contribute to the pollution problem when you can harness renewable, clean energy from our sun? Additionally, did you know that there is a federal tax credit available to those who switch to solar power? If you install a solar system for your home or business, you can get 30 percent of your expenses back through a tax write-off. This is a dollar-for-dollar reduction in the federal income taxes you owe. However, this ends in 2021, so give West Coast Solar a call today to get started on your solar power project. 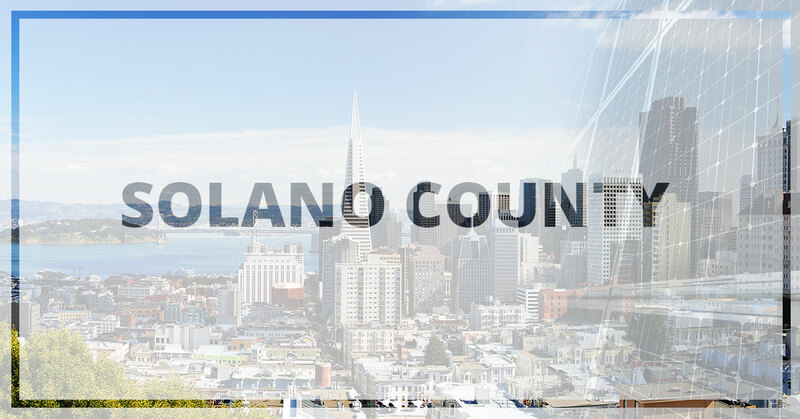 Solano and the surrounding areas are fortunate to live in such an energy efficient and friendly area, which is why the grid is so open to making solar panels a more viable solution for more of the population. This is accomplished by providing homeowners with solar panels the opportunity to sell the energy they generate with solar power and don’t use back to the grid. All you need is the equipment to connect your solar power system to the grid and the extra battery space to store more than you’re likely to use. When you’re considering this option, be sure to educate yourself about the grid connection requirements in your area and how your specific utility provider structures their sell-back system.